Blot with a white towel. Follow instructions for acid based spots in the spotting guide. Blot with a white towel. Follow instructions for acid based spots in the spotting guide. If the spot doesn't come out, place a towel over the spot to prevent sunlight from further damaging the area. Don't try to remove these spots yourself. Time is not important for grease spots. Using the wrong method can make it difficult or impossible to remove these spots. The most important thing to do when you have water is to get the carpet dry ASAP. Use a wet vac, fans, and dehumidifiers to dry the carpet. Get anything that can cause problems off the floor. Cardboard boxes, any flatbottomed furnture that can trap water, wood and metal. We can come extract the water and leave heavy duty fans. 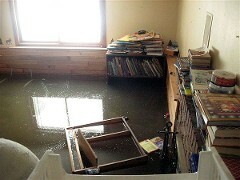 If you have more than 6 inches of water and It doesn't start to go down quickly, you may have issues with the drywall. You can always call, and we will assist you in any way we can. Check out the FAQ page of our website to learn more.